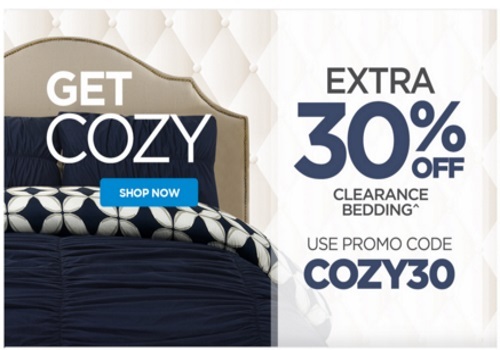 The Shopping Channel is offering an extra 30% off clearance bedding during their Flash Sale today! Enter the promo code COZY30 at checkout to get this offer. Offer is valid until Sunday, February 21, 2015. Also remember their Secret Savings Event is still on too! Unlock your savings when you make a purchase and get $10-$500 off your next purchase!